At the progressive town of Clarksdale U.S. 49 begins its one hundred mile southward swing through the great Mississippi Delta, richest natural farming land in the world. Beautiful plantation homes, full-blown cotton fields, and many other sights typical of the cotton kingdom are seen from the highway. 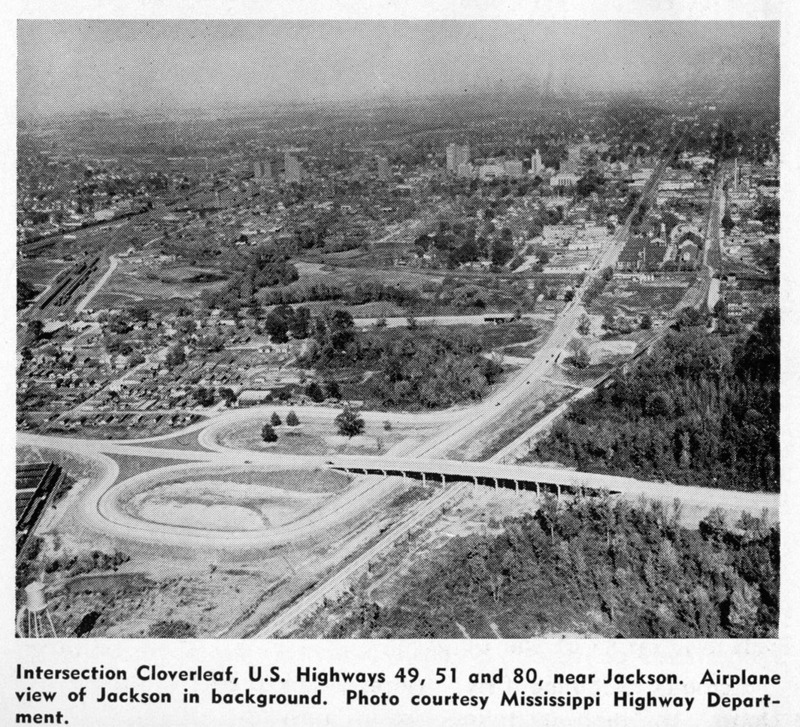 Half-way on its journey through the state U.S. 49 comes to Jackson, Capitol City of Mississippi, where five more arterial highways junction. Below Jackson the smooth ribbon of concrete flows through the piney woods section to Hattiesburg, site of Camp Shelby, home of thousands of Uncle Sam’s soldiers. Representing almost every state in the Middlewest and South, the camp is a favorite visiting place of out-of-state travelers, who find many friends and relatives posted here. Leaving Hattiesburg and Camp Shelby, U.S. 49 drops down to the sunny Gulf Coast, opening up the pleasures of America’s Riviera for the tourist. At Gulfport, U.S. 49 junctions with U.S. 90, “The Old Spanish Trail“, which follows the blue waters of the Gulf of Mexico. Coming to Yazoo City, “Gateway to the Delta,” the highway takes a sharp turn upward into the hills. Overlooking miles of flat Delta land, Yazoo City with its steep bluffs and wooded slopes offers a picturesque contrast to the table-like Delta land. Just a few miles out from Yazoo City and off of Highway 49 is Tinsley, center of Mississippi’s new oil development. 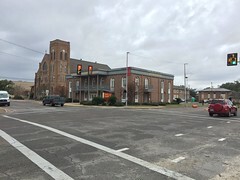 Winding in and out of the hills, U.S. 49 leaves Yazoo City for Jackson, Capital City of Mississippi, recognized as one of the fastest growing cities in the South and center of new industrial activity in this region. 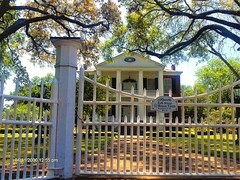 Jackson is an ideal headquarters for tourists. Six arterial highways converging here simplify the problem of reaching points of scenic and historical interest. 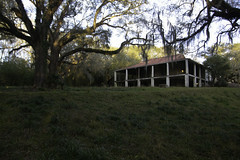 Excellent hotels, tourist courts and cafes of the most modern type make Jackson an inviting stop-over. 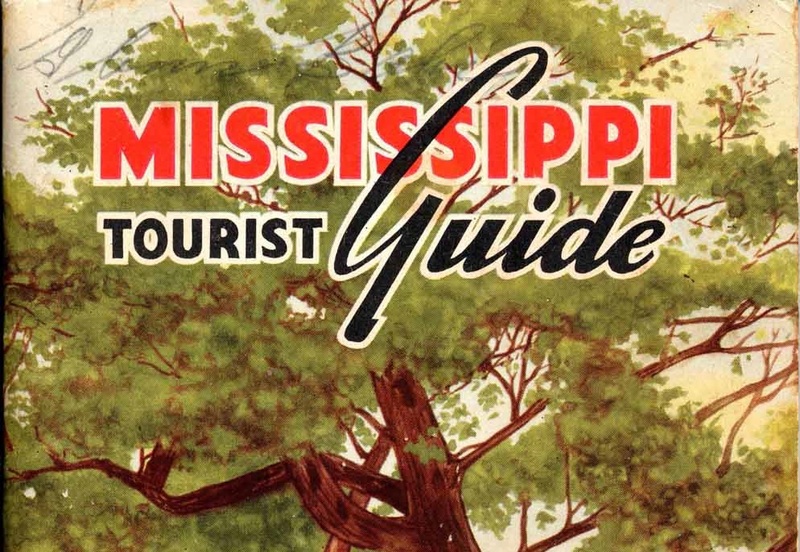 Mississippi’s million dollar capitol, nine civic parks, the municipal airport and Jackson’s many beautiful homes are favorite spots of interest. Mendenhall, Magee, Mt. Olive and Collins, located in the heart of this section, are chiefly noted as marketing centers for poultry and vegetables. Just three miles north on the highway from Magee is Sanitorium, one of the world’s finest tuberculosis hospitals. Half-way between Jackson and the Gulf Coast is Hattiesburg, long known as the center of South Mississippi’s lumber industry. Lately, it has achieved national prominence as the location of Camp Shelby, Fourth Corps Area Army Camp, housing over 50,000 soldiers, most of whom come from cities in the Middlewest. 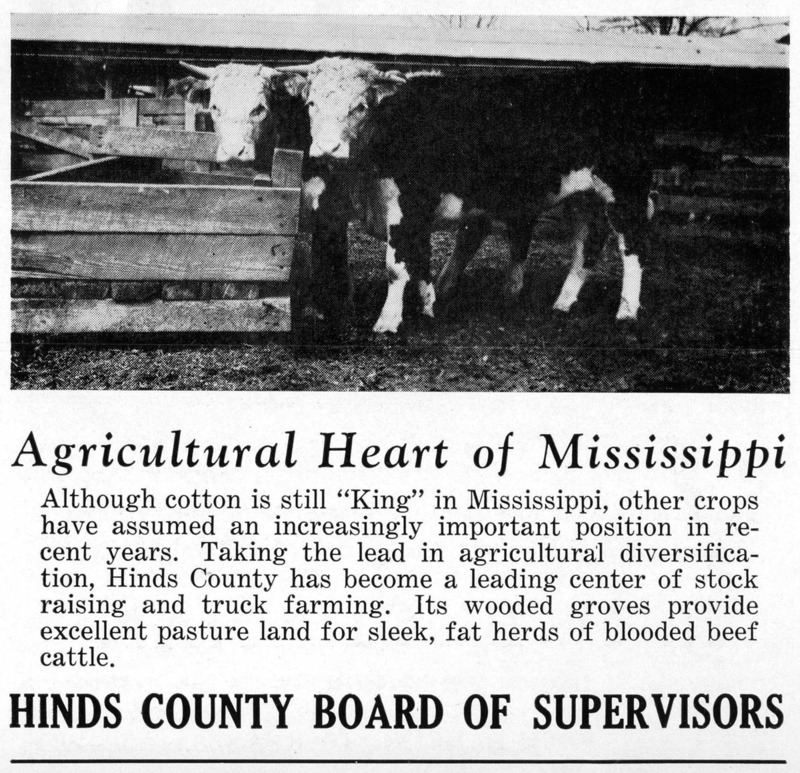 Wiggins, next stop south after Hattiesburg, is a name familiar to all lovers of good pickles. At the location of a large pickle factory, Wiggins annually sponsors a colorful pickle festival. At Gulfport, key city of the Mississippi Gulf Coast, U.S. 49 terminates its journey through the state by junctioning with U.S. 90. 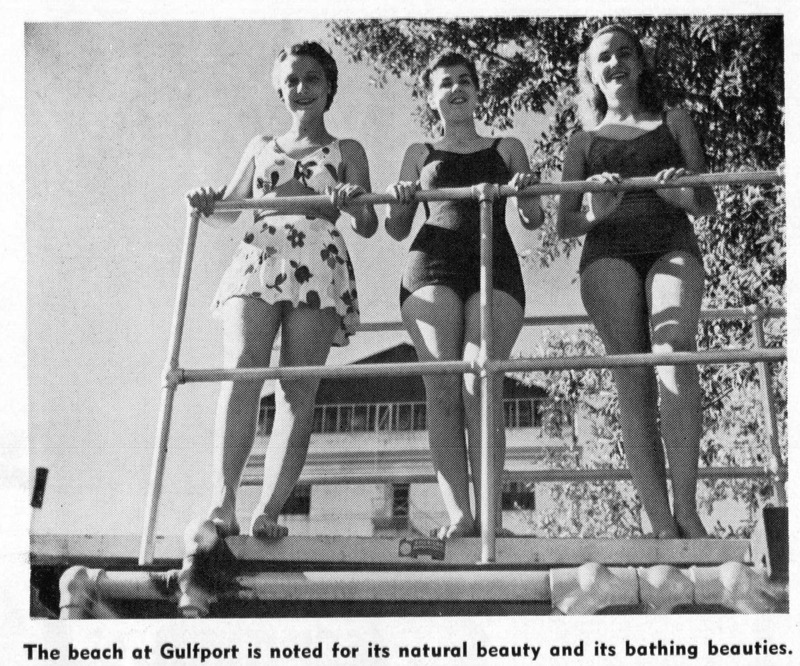 Located in the center of a famous resort region, Gulfport makes an ideal headquarters from which all historical and recreational points can be easily reached. No opportunity for sea-side entertainment has been overlooked by this progressive resort city. More about Highway 49 and other Mississippi highways . . .
finally! good ol’ hiway 49! 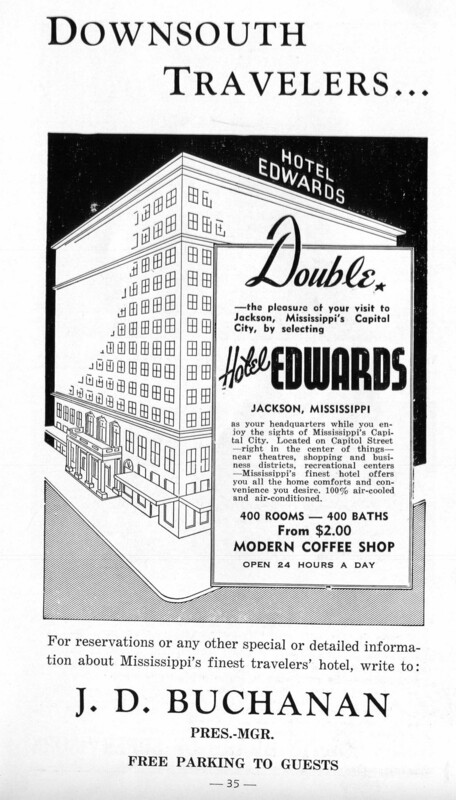 in the ad for the forrest hotel(a handsome building still standing in downtown hattiesburg, across from the art moderne post office that has been discussed on several occasions in mp), what is the large rectangular ‘thing’ on the top? i have tried unsuccessfully to get a close-up view). and, was very sorry to read in the 2018 update that most of the forested medians along the highway have been removed–it this along the whole length of the route? 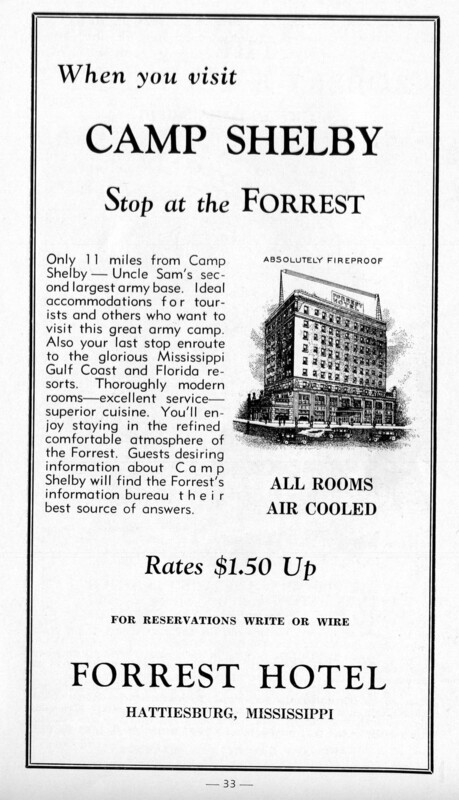 have just looked back at the postcard view of the forrest hotel that you posted on july 6th, 2017–atop the hotel is a very large ‘forrest hotel’ sign which i think i remember from my youth. in the ad in the hiways brochure, i can see a small ‘forrest hotel’ on the lower right side of this ‘rectangle’ on the roof of the hotel—is it an ‘artist’s rendition’ of a huge billboard? or are the ‘poles’ some kind of radio devices, connected by a cable? Interesting that there is no mention of the split between Hwys 49 E and W from Tutwiler to Yazoo City. For that matter they don’t mention 49E at all. I used to travel 49 north of Jackson a lot, but haven’t for several years now. 49 south to Hattiesburg is another matter.I do miss the trees in the median, especially closer to Hattiesburg. Given all the drainage work they are doing in addition to tree removal, I’m assuming this has something to do with storm remediation in addition to driver safety. 49 south of Hattiesburg was impassable for days after both Camille and Katrina. Also interesting that they make it sound like Hwy 49 starts/ends in Clarksdale, which it doesn’t. 61 and 49 merge in Clarksdale and go north some 10-15 miles, then 49 splits off to the left at Lula, MS, and goes across the Mississippi River at Helena, Arkansas. From there it got north in Arkansas to hear the Missouri boarder, where it does finally end/begin. I know, I was actually looking forward to seeing what was said about the split highway, which I’ve always found mysterious (why not just use another number? ), but instead, they just skipped the topic altogether. Hmmm. The MDOT mother of all Skull & Crossbone warnings. i understand those comments—- i saw some of the hurricane damage from both of those storms–yes, a mess! 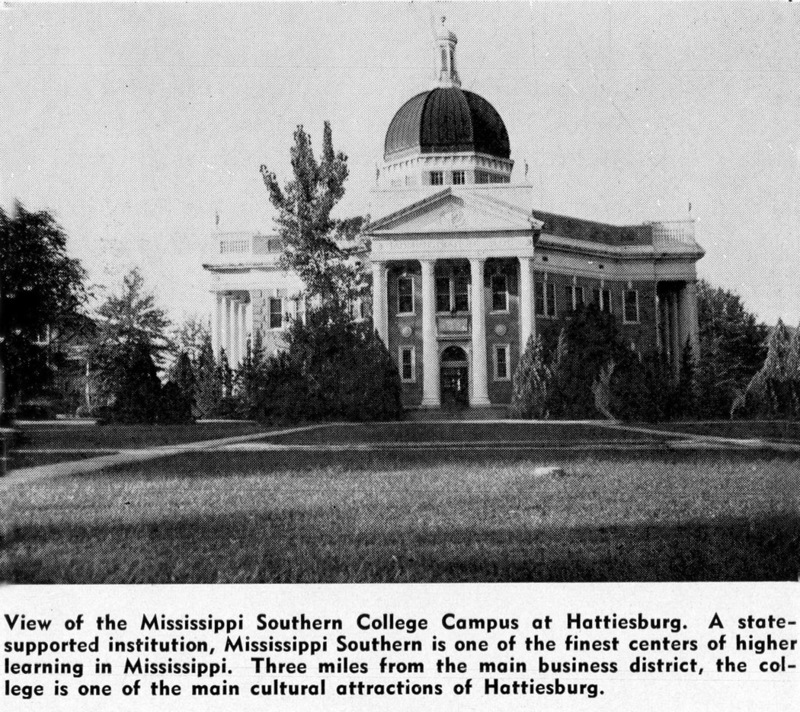 when i was growing up, hattiesburg, in all directions, seemed surrounded by pine forests–yes, the second growth, but certainly a wonderful ‘zone’ of trees. the situation is really awful now–and, i haven’t been down since 2009–urban spread has to be worse….. the stretch out hardy street west from usm toward columbia is horrible. malvaney posts a postcard view of blue gables motel, on 49(above)–those ‘cottages’ were nestled in a wonderful forest originally! Obviously, you aren’t aware of that god-awful Midtown that the great-great- grandson’s of W. S. F. Tatum have built on the property of Charlotte Elam’s daddy(Elam Arms dormitory) on Hardy? We aren’t in Kansas anymore, Ed. At the intersection of James Street and 49 South(diagonally across from Governor Paul Johnson’s home)there was once a six-feet highway marker(granite?) since the 1950s that it is now missing. I can still see remains of the footing. I’m thinking it went missing with the construction of public housing on the cleared Beverley Drive-In property and the adjacent Dollar General Store. 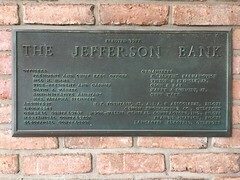 I remember reading the inscription on the marker years go, but cannot recall its content. 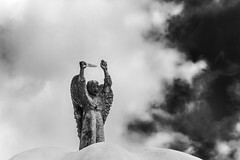 I have been by the MDOT field office yesterday and today, but have yet to make contact with anyone who is in a position to even having any knowledge of the monument/marker that I have described. I’ll check back Monday. I found the highway monument prostrate on the ground( face up)having been toppled from its footing at some point. The monument is approximately 6 feet in length with the State seal of Mississippi at the top. The inscription reads: Governor Paul B. Johnson Memorial Highway 1940-1943. What is a little bit alarming is that fifty feet away there is a pile of pulverized asphalt pavement material. Could the plan be to drag the monument to that site and it dumped in a grave, covered with the asphalt debris? On that note, does anyone have any information on the location of the Fritz Behn bronze statue of Governor Bilbo that was removed from the Rotunda by William Winter? Last I saw of it was a photo of the bronze posted by the Mississippi Immigrants Rights Alliance located in Room 113 at the Capitol building. A Mexican blanket covered the head and upper torso. 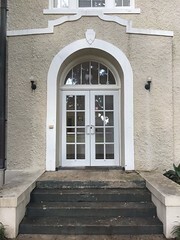 The photo has since been removed. A reading of Benvenisti’s book, Sacred Landscape: The Buried History of the Holy Land Since 1948, will show where all this going. Eric Blair warned us in 1984. 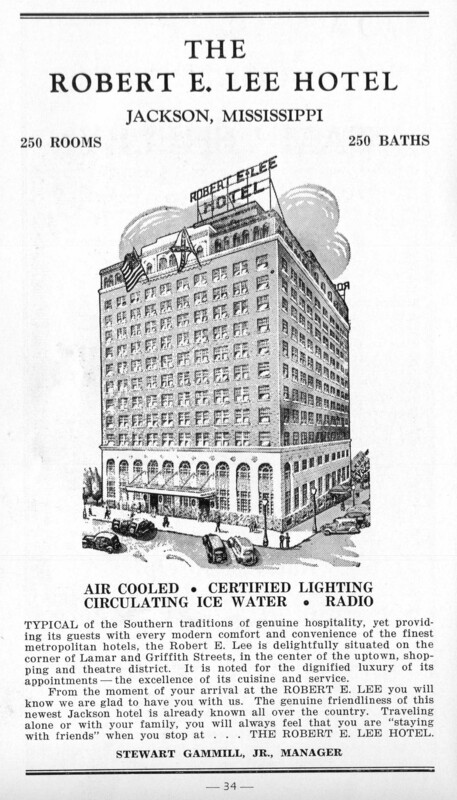 Shortly before the demolition during the WWII period. Wow, and thanks for your earlier comments about the roadside “memorials”. Makes sense.